Best Days: Sat AM: last blast of peaky NE windswell with a brief window of light winds. 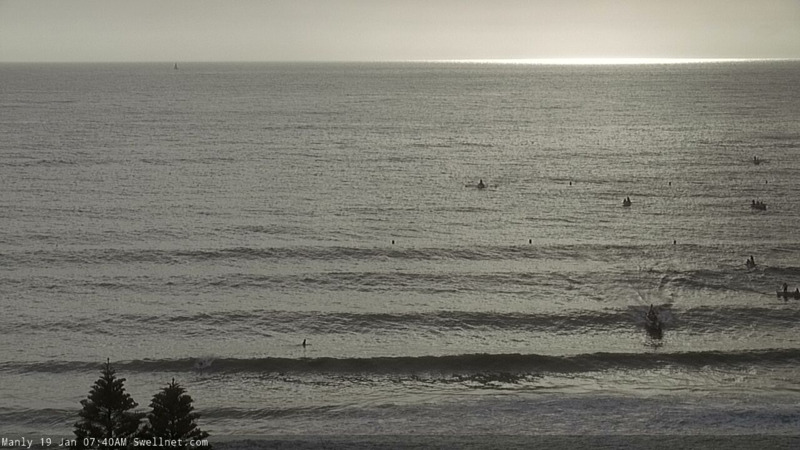 Tues/Wed: small S'ly swells. Recap: Peaky NE windswells have maintained 2-3ft+ sets at times over the last two days but size has eased a little this afternoon, against forecast expectations. However we should see a very late rebuilding trend through into the evening. Winds have been mainly moderate to fresh NE, with a period of light variable winds early Thursday and then an unusual period of fresh E/SE winds overnight Thursday into Friday. We’ve got one final push of short range NE windswell for Saturday morning, thanks to a late strengthening trend tonight within our short range swell window. An approaching southerly change will disrupt the flow around dawn (if not before), leading to a very early peak and then a steady decrease in size throughout the day. The models have eased back the strength of the fetch since Wednesday, so I’m consequently pulling back my forecast expectations: NE facing beaches should see 2-3ft sets early, easing to 1-2ft into the afternoon. 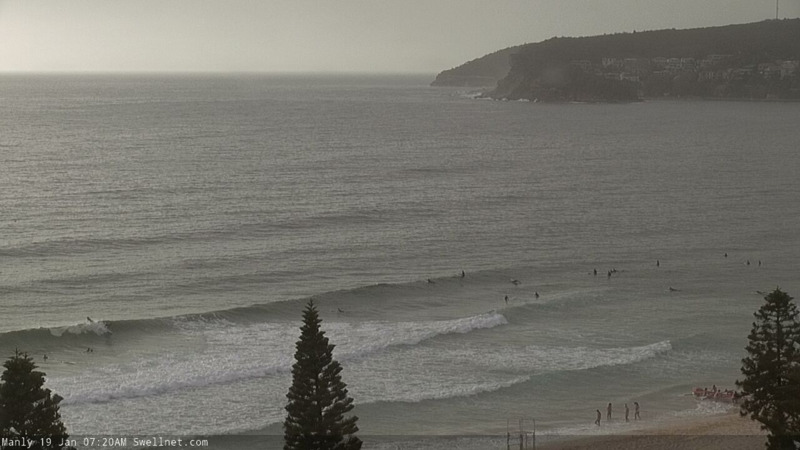 Expect smaller surf across the northern Hunter and at south facing beaches. We may see a light S’ly wind change in the early hours of Saturday morning as a pre-frontal trough passes over the region, but the proper southerly change - at strength - should reach Wollongong just after dawn, then most Sydney beaches between 7-9am and before nosing into the Hunter between 8-10am. Prior to the change, winds should be light and variable and this will be your best time to surf all weekend. In the wake of the change, we’ll see building southerly windswells to 2-3ft at south facing beaches by late Saturday afternoon though there won’t be a lot of quality in it. Saturday’s front will clear to the east on Sunday and we’ll see light variable winds with sea breezes. 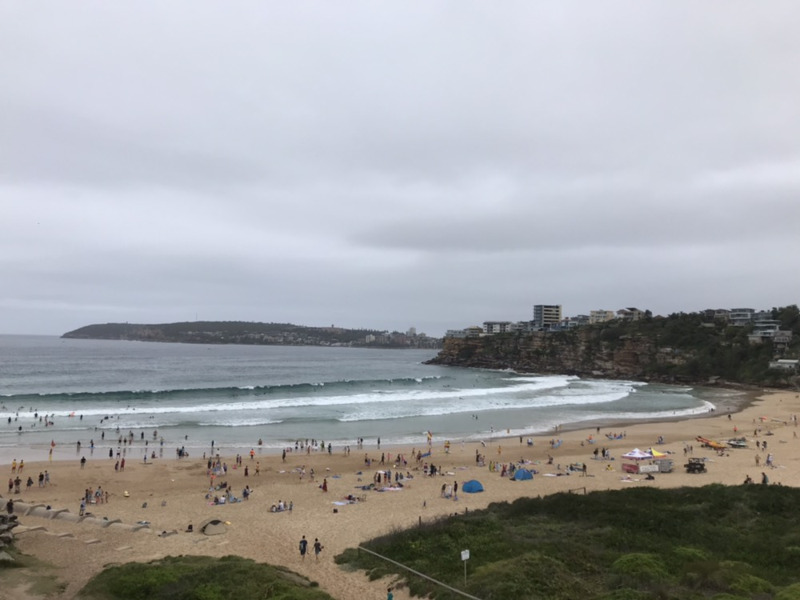 Our NE swell will be all but gone, and instead we’ll be relying on a small, peaky mix of S’ly swell - leftover windswell from Saturday’s change, plus a small groundswell from the parent low, which will pass south of Tasmania on Saturday. 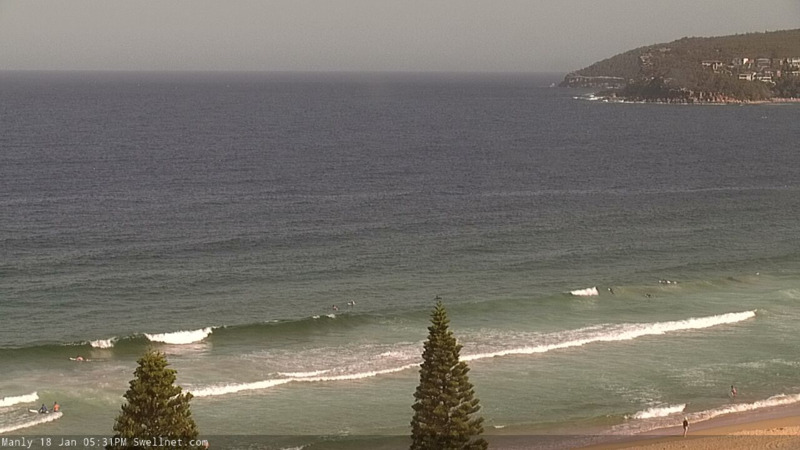 Expect average set waves up to 2ft+ at south swell magnets (mainly north from Sydney to the Hunter) and not a lot elsewhere. Doesn’t look like much surf in store for next week, with a weak Tasman synoptic pattern expected to maintain low swell heights for our local swell windows. General troughiness will linger through the region all week and while there’s always a chance that we’ll see the inclusion of one vital ingredient tip the balance in favour of something significant, right now it’s hard to get excited. A series of poorly aligned though strong fronts passing south of Tasmania throughout the forecast period will drive small intermittent S’ly swells along the coast, but their sideband nature won’t contribute much size. Tuesday and early Wednesday are showing the most potential right now with an outside chance for stray 2-3ft sets at south swell magnets but there won’t be much elsewhere. Otherwise the tropics look generally uninteresting. A small but tight tropical low will develop SE of Fiji around Monday, and linger for much of the week, but without a supporting high pressure system to the south, the associated fetch length will be short and so the large travel distance will erode the vast majority of its swell potential. I’ll keep an eye on it anyway. Aaah another weekend in Newy. Cue the southerly change and dribble swell. Groundhog day has turned into Groundhog week. Typical short range NE windswell this AM - notice the close, irregular spacing of the lines? Still the odd decent 2-3ft set though. 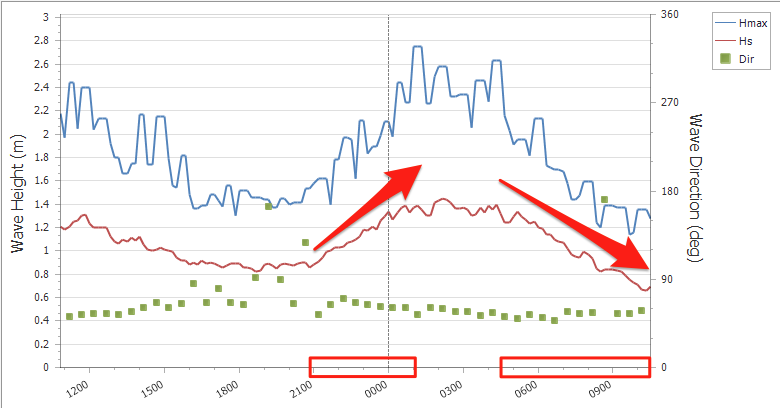 Buoy data offshore from Botany Bay spells out the trend: up steadily from 9pm last night through until about 1-2am, and then steadily down since about 3am (losing 0.7m Hsig!). Bummer for those that couldn't get in the water at first light. Looks like the S'ly change is running a few hours late. It reached Bellambi around 9am, and is now gusting 35kts. 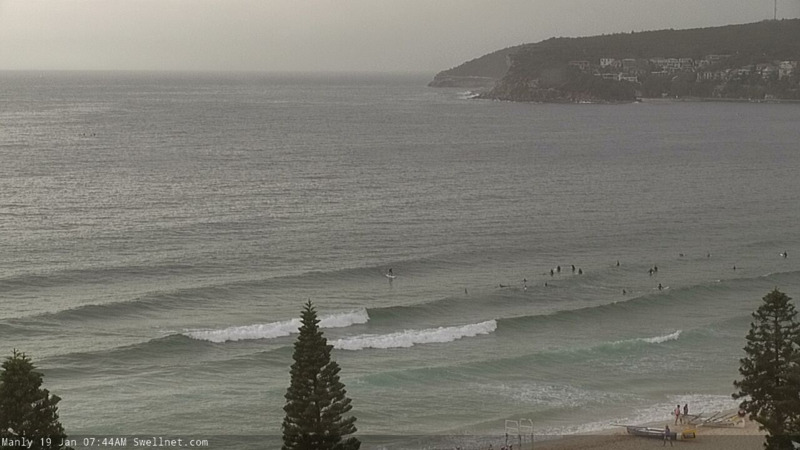 Should be into Sydney's Eastern Beaches very soon and the Northern Beaches shortly. Odd.. the S'ly swell is only 1-2ft in Cronulla, but it's producing 2-3ft sets on the Northern Beaches. 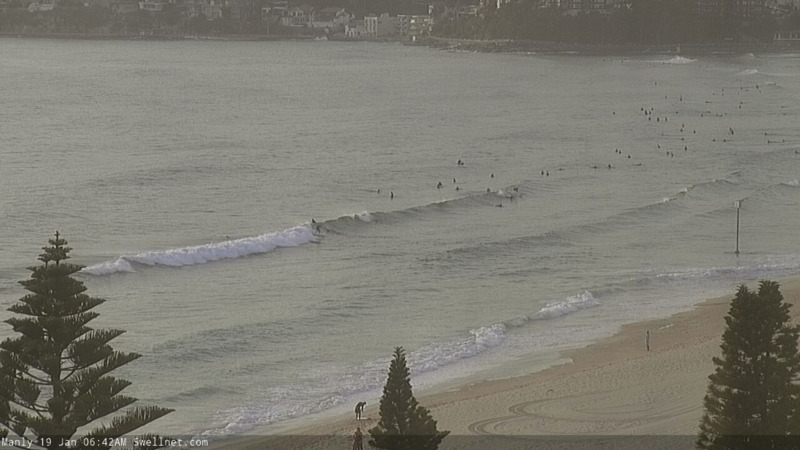 Both of which are within close proximity to the 2ft+ forecast, but it's just unusual to see Cronulla dip out (again!) under a S'ly swell, especially seeing how it's had such a long run of tiny surf under the recent NE swell regime. Remember Russell Crowe’s band ? It was called “ 30 odd foot of grunts “. They could do a double act with Bondi. The band from Bondi being known as “ 300 odd metres of closeout “. Wait , that’s not Bondi is it ? Where is it ? It’s pleasing to see that such a well travelled surfer such as yourself didn’t pick one of the most famous beaches in the country for another one of the most famous beaches in the country. I promise I won’t tell anyone. Technically, it’s the birthplace of Australian surfing. I get it. Looks like the Duke picked the right beach to go straight at. Crazy how I’ve never seen it before. I pride myself on recognising surf spots , even ones I’ve never been to. I think it might be my superpower . Though to be honest , there’s probably more useful superpowers getting around . Why did it please you that I didn’t pick it ? I just love the notion that unusual angles can partially obscure the identity of very well known beaches. It’s always good to good a fresh perspective. And it’s nice that mystery can be preserved through a little lateral thinking. 2+ sets every 10 or so around and after lunch at Cronulla Ben. No banks though which I think is impacting size. Looked like a good bit of E in the swell. Crazy how you couldn't pick it Blowin, but I also had friends on insta messaging me asking where, haha. Nuts. I'm starting to get a bit resentful too, Shorey. I reached Peak Goodwill sometime around January 7th and it's been downhill ever since with the picknickers and frolickers feeling the icicles of my deathly stare.